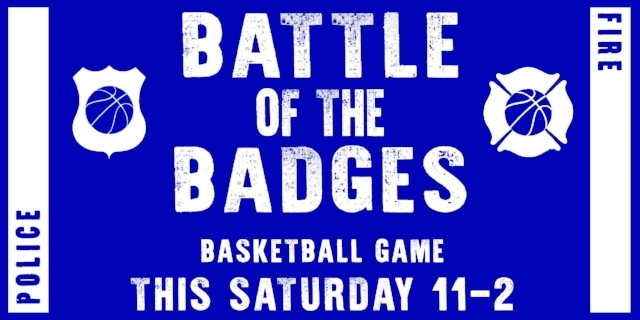 Our Second Annual Battle of the Badges will take place on Saturday, October 21st, from 11am-2pm. A fun, community event with food trucks, touch-a-truck with police and fire vehicles, and then a rematch basketball game (at 1:00pm) between the Ellettsville Police and Fire Departments. Can the police retain their champion status? We will be selling concessions and t-shirts during the basketball game in our historic gymnasium. Will you support team Fire Department (red) or team Police Department (Blue)? 20% of the proceeds will go to a charity chosen by the departments. Our goal with this event is to lead our students, and all students in the community, by example by recognizing and honoring the men and women among us that put their lives on the line daily to keep our community safe and by giving back to those who give so much to all of us. Come out with the family for some food and fun at this free event!